UNO offers all CLEP and DSST testing services for Offutt AFB. Testing services are open to all members of the Offutt AFB community, including active duty military, guard/reserve, retired military, dependents, contractors, and civilian employees. However, active duty military and guard/reserve have priority while others are scheduled on a space available basis. All exams take place in Classroom 19, Building D (Map of Building D). Thursdays 9 A.M. and 11:30 A.M.
Check-in for testing will begin at 9 A.M. and/or 11:30 A.M. Examinees must arrive 5 minutes before exam start time. No testing will be offered on federal holidays, the day after Thanksgiving, or the last week of December. STEP 1 - Determine which exam you wish to take. 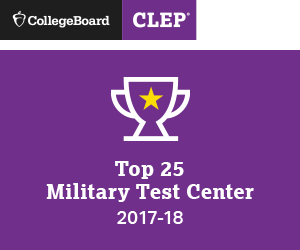 All available CLEP and DSST exams can be administered at Offutt AFB. STEP 2 - Register with CLEP or DSST. You must register for the exam and obtain a Registration Ticket from CLEP prior to the day you want to take the test. You must bring the Registration Ticket to the test center in order to proceed with testing. Click here for instructions on how to register with CLEP College Board. You do not need to register for the exam prior to the day you come to test. DSST registration is done at the testing center. STEP 3 - CLICK HERE to schedule your appointment day/time with the Offutt Testing Center. There is no charge for DANTES-funded CLEP examinees or DANTES-funded DSST examinees. Examinees who do not fall into one of these categories will have to pay both the exam fee and administration fee. 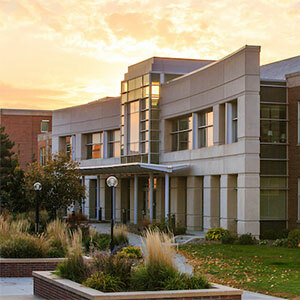 The UNO administration fee- payment can ONLY be made with cash or check (payable to "University of Nebraska at Omaha"). All other exam fees are paid online with a credit/debit card. Examinees must provide two forms of ID when checking in for testing. For active duty military, this must be a military ID and another government/state-issued ID. For non-active duty military, one must be a government/state-issued ID and the other needs to have either a picture or signature.